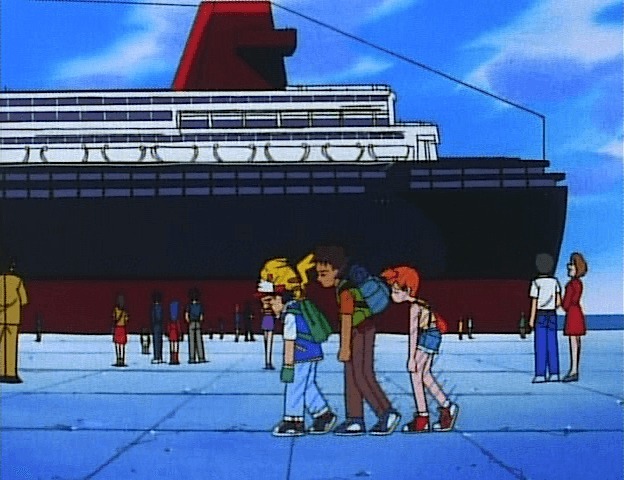 pokemonscreenshots.tumblr.comHey everyone! It’s been a disappointing stretch of tournaments for me recently. After playing what I thought were the best decks in Standard and Expanded (Buzzwole and Zoroark) for Toronto and Virginia, I walked away with 0 CP and effectively dropped out of the Top 16 hunt. This is pretty disappointing but I’m also somewhat relieved to not have any reason to continue to grind through tournaments. Many of my friends will be playing in tournaments 9+ weekends of an 10-11 weekend stretch as we head into the NAIC. I’ll be enjoying some time off and watching Magic Grand Prix. Not the worst tradeoff. Heading into Madison, I did most of my testing against different Buzzwole lists. It was easily the best deck in format before Forbidden Light and only got better with the new additions. Most notably, Beast Ring adds huge comeback potential while also giving you a sense of inevitability in closing out games you’re leading. I knew this would be the most popular deck in the room, and would do well even if many players were countering it. The other deck I wanted to be sure to beat was the Psychic version of the Malamar deck. Players like Sam Chen and Rahul Reddy were consistently proving it was a top contender down in Mexico and it was rumored to have a pretty good matchup vs Buzzwole. Funny enough, I didn’t find the matchup to be too favored for this Malamar variant. For one, there wasn’t a good one prize attacker in the deck (more on that later). But the biggest problem was the deck’s inability to easily answer a Lycanroc-GX. 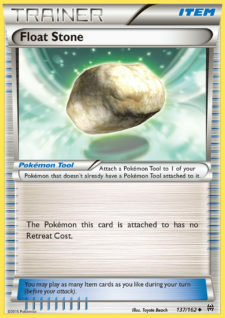 Necrozma-GX could do it with 4 energy, but that proved difficult to set up if a few Jet Punches took out Inkay and Malamar early in the game. With those two decks in mind, I was left with a very small list of options. I mainly looked at some of the new decks as Buzzwole was consistently beating basically everything even without its new toys. The only decks that I found to consistently beat Buzzwole were other Buzzwole variants and a fun Ultra Necrozma/Malamar list I had been iterating on for a few days. Similarly to Buzzwole decks, Beast Ring gave the deck a huge edge in a lot of matchups. You don’t have to rely on Malamar as much as the Eelektrik and Bronzong decks had to when they were legal. When you tell me you can swing for 180+ with 1 energy attachment and an item card, I’m interested. 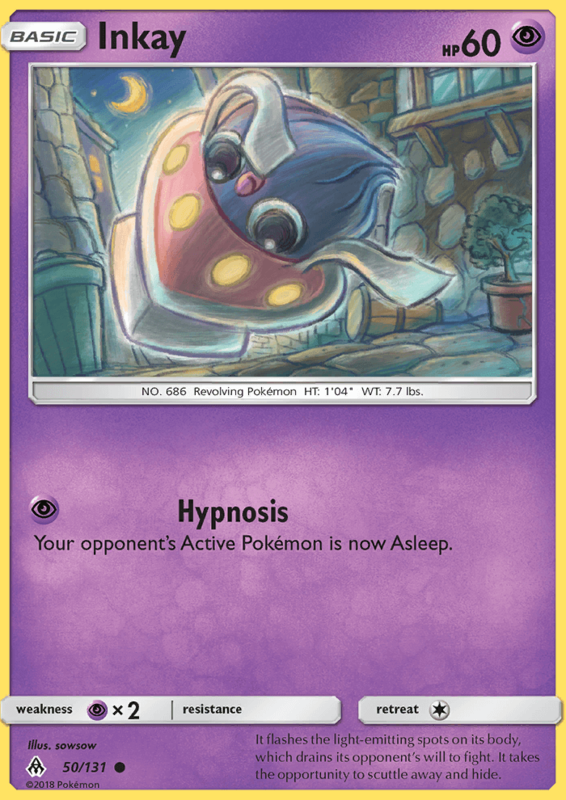 As I was working on this deck, I found it to fix most of the problems that the all Psychic Malamar deck has with Buzzwole. Mew gave you an easy way to OHKO Buzzwole-GX, needing just an attachment from hand, 1 Malamar, and a Choice Band. Ultra Necrozma also gave you an easy way to OHKO Lycanroc, and the addition of Choice Band gave you a comeback play with Dawn Wings Necrozma’s GX attack on a Lycanroc. Trust me, it comes up a lot. My list originated from Pablo‘s first article including the new set, only a few cards off of his. I actually really liked the list that I featured in my last article (after switching the energy count over to 8-4), but wanted to give Beast Ring a shot just for the sake of testing. I basically found it to only make the deck better and still think so now. My changes to Pablo’s list consist of an adjustment to the energy line to allow for unfortunate Sycamore/Ultra Ball discards, a slightly different Supporter line, and an extra Mew and Beast Ring. The last two additions are to get an edge up in the mirror match and against Buzzwole, matchups I didn’t lose all tournament. In that matchup, you want OHKOs and you want efficient OHKOs. These cards give you the flexibility to attack with whatever attacker is right for the situation. I added the 2nd Brigette after getting burned for prizing it one two many times in testing, in place of the 3rd N. Now, you’ll notice that this list does have a 3rd N, which was in place of my 3rd Float Stone. That was a mistake I made at the last minute, thinking that I just really didn’t want to lose to dead draws. I could always just “Dynamotor” to my Dawn Wings to “Rush In” and retreat if I had to in a pinch, right? Yeah that play doesn’t work out as much as you want it to. Instead, I lost several games due to limited mobility and not having enough energy to retreat and attack properly. 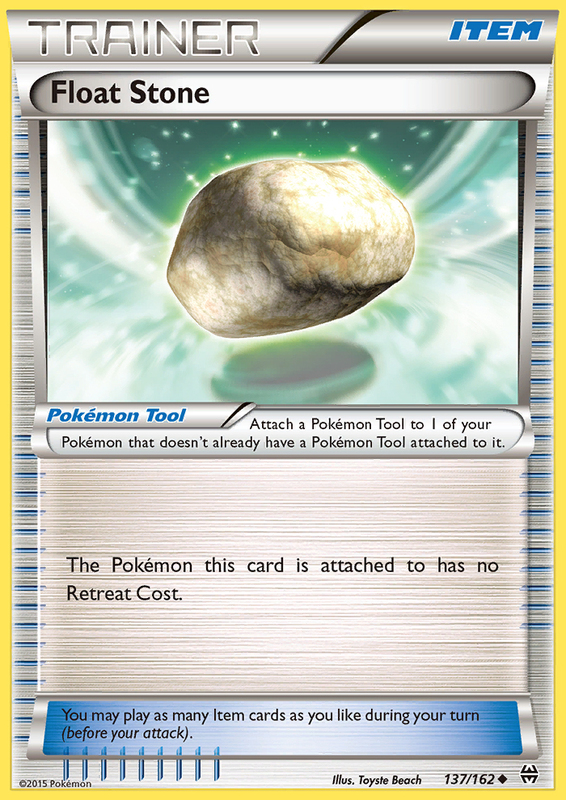 I’ll be playing 3 Float Stone in Ultra Necrozma lists going forward. My tournament was very lackluster overall and doesn’t really reflect the strength of the deck properly. One Ultra Necrozma deck made Top 8, which is right about how good I think it is, but promptly lost to Greninja even with a Giratina. The deck can have a strong matchup against Buzzwole but it struggles with a few very key weaknesses. Your bench space is incredibly valuable. You get punished for missing Metal Energy. These weaknesses are especially apparent against Zoroark decks. For one, they play Parallel City to limit your bench, often forcing you to find a Metal Energy and an attacker where you’d otherwise be able to keep 2 attackers on the bench. Zoroark also requires you to use Metal Energy in a lot of scenarios, as Dawn Wings Necrozma doesn’t OHKO it and has weakness to it. Your other option is to attack with Lele, but that damage output is pretty mediocre and often leads to you losing a Malamar or two. 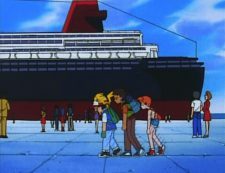 The problem of missing Metal Energy isn’t exclusive to the Zoroark matchup, and isn’t exclusive to Metal Energy either. You need specific cards at very specific times with no draw support. Metal Energy is the most common one, but Choice Band and Float Stone also can be hard to find. The deck only plays 3 Guzma, and with a lack of available bench space, you can’t always play a Lele for one when you need it. One common response to “I can’t find Metal Energy when I need them” is to play them when you find them, don’t wait until the turn you need to attack. With only 2 Ultra Necrozma, it’s not always easy to get one out when you have a Metal to attach. 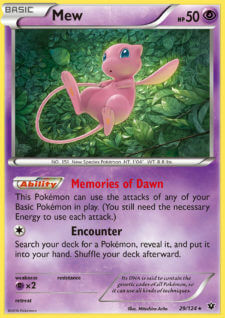 You could put one on a Mew, but it’s so easy to KO, and I often leave Mew active at end of turn. The reasons for this range from wanting to protect a bench full of Inkay, not wanting to give up 2 prizes, or needing to Encounter to set up my next turn. Side note: I actually used Encounter a TON this tournament. I often needed it for a Lele because I didn’t have a Supporter, but sometimes I was just okay with trading the Mew (assuming it would get knocked out) in exchange for having a Malamar in hand. Other times, my hand would be bad, and just the act of Encounter for Malamar would cause my opponent to N me. So, how do we deal with the reliance on Metal Energy? Professor’s Letter is the first thing that comes to mind, giving you a “wild card” of sorts to hit a Psychic Energy and a Metal at the same time. A 7-4 Psychic/Metal split with a Letter could be doable, but what about 7-3 or 6-4 with 2 Letters? Something drastic like that could be the best. I’ll be trying them all before the NAIC. The problem with the bench space is harder to solve due to the fact that you have to set up 1-2+ Stage 1s in every game. Most of the time, you want to have 3 Inkay down on T1. You expect that 1 will get KOed in most games, especially as you start one fairly often and don’t have a ton of ways to move it to the bench. Even if one doesn’t get KOed, a Malamar will in many games, so you’ll want to bench another Inkay at some point anyways. But if all 3 Inkay stick, you can’t really make use of all 3 Malamar abilities, and you can’t fill out your bench properly if you have to bench a Lele. There are two ways to solve this problem. The first is change the deck and mentality to work with only getting 2 Inkay on T1. Cutting an Inkay for a Rescue Stretcher might help facilitate that, still giving you the same number of outs if one gets KOed and adding some utility to the deck. You still might need to get 3 Inkay in some instances, especially vs Buzzwole and/or when you start with one. With only 3 in the deck, prizing one would burn you here, so maybe cutting a Treasure or Ultra Ball for the Stretcher is better. The other option is basically just to play Parallel City, and maybe a 2nd Field Blower along with it. This way, you’d have more answers to an opposing Parallel City and you could just block an opponent’s use of it by playing your own. You even have the cheeky play of playing one to clear your own bench then discarding it with a Field Blower. There were several games where the option to discard my own half dead GX would have effectively sealed the game up for me. I like this in theory, but we’ll see how it does in action. We don’t have an infinite amount of psychic, it only feels that way! Hoopa STS – This one has the most utility with a sniping attack (something Malamar otherwise doesn’t have) and an attack that 2HKOs a Zoroark if you have a Choice Band attached. This should be the gold standard, and you have to argue that a 1 Prize attacker is better than Hoopa if you want to include it. Mewtwo SM77 – Incredibly strong vs Buzzwole, especially in the early game. Reducing the bench damage from Jet Punch throws a big wrench in their plans for taking prizes in the first few turns. It is worse than Hoopa in the way that you can’t pressure them in the early turns, but it lets you be more passive (if they don’t have a Lycanroc or Guzma). I could see running this alongside Mew in Ultra Necrozma just as something to retreat to in the first few turns. However, I’m not sure it’s better in the all Psychic versions. Dawn Wings Necrozma SM106 – This attacker is better in the early game against Buzzwole, giving you the option to heavily punish them for using a Jet Punch. You can get an OHKO with Beast Energy and Choice Band if they don’t have damage modifiers and it gets easier if they do. However, the weakness to Zoroark makes it much weaker than Hoopa or Mewtwo in that matchup. The first attack is interesting, but I don’t think it’s worth the spot unless Zoroark gets completely hated out of the metagame. The rest of the commonly mentioned options (Clefairy, Mimikyu, Giratina) just don’t get the job done. I value the ability to OHKO Buzzwole very highly, and would prefer to be able to do it without other damage modifiers. Giratina can do this, but I would be playing this only as a Greninja counter that can attack in a pinch. The 3 vs 4 energy attachment difference can also be very hard to overcome. I actually really enjoy playing Malamar and look forward to testing it more heading into NAIC. The deck’s power level feels a step above similar iterations in Standard formats of years past. I’m not sure if the consistency will ever be enough to take it to a major tournament though, especially with Buzzwole as a very strong alternative play. Hopefully someone can solve it! The next deck I’ll be working on as a counter Buzzwole is a Beast Box type of concept and I figured I’d leave you all with a list before I go. There are options to OHKO Lycanroc and Buzzwole, the latter with one prize attackers which is pretty good on its own. The “only if you have X amount of prizes” clauses actually could be feasibly met in some scenarios, though it might be hard to cycle attackers in and out when you need to. Now this is definitely what I’d call a brew. It might not end up becoming competitive but I think Naganadel is a strong card and should be tested out. I’ve also tried out some other attackers like Pheromosa (and GX) and Dusk Mane Necrozma, but the energy line just doesn’t work out well. Even so, I’m running Rainbow here as I don’t want to be without the correct energy type when I need it. They also combo nicely with Dawn Wings Necrozma, especially if you force a Buzzwole player to Jet Punch you for 30. The 2 copies of Super Rod is in response to several games where I’ve run out of energy. The deck aims to use 2+ Beast Ring and have good targets for them every game, so you can’t really afford to waste 2-3 of your Basic Energy off of Sycamore, Ultra Ball, or early attachments/bad prizes. The Ultra Space and Ultra Recon Squad are potentially terrible cards that I just wanted to test out. So far, Ultra Space is impressing me but Ultra Recon Squad has fallen short. I might cut the latter for another of the former actually. The Buzzwole matchup is the only thing I’ve really tested against so far. It’s very winnable, and your early game against them is insane. However, closing the game out can be hard, especially since you struggle to OHKO Lycanroc. 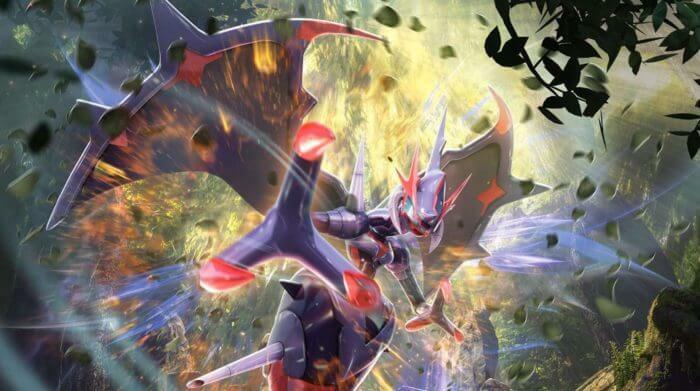 Dawn Wings GX is the only real way to do it, so you’ll have to plan ahead for that. Pheromosa was in the original list, but the energy line was too hard to figure out. Maybe I’ll try with more of that, but I still want Buzzwole for the Zoroark matchup. The Supporter line, Energy counts, and Pokémon counts are bound to change fairly drastically as I continue to test this deck. Check out my Twitter if you’re interested in updates, and I’ll also try to post them in the forums if I think this deck has potential! That’s it for today everyone. Good luck closing out your season with the last few League Cups and NAIC! I’ll be grinding hard for that and enjoying my time without any major tournaments for a few weeks.